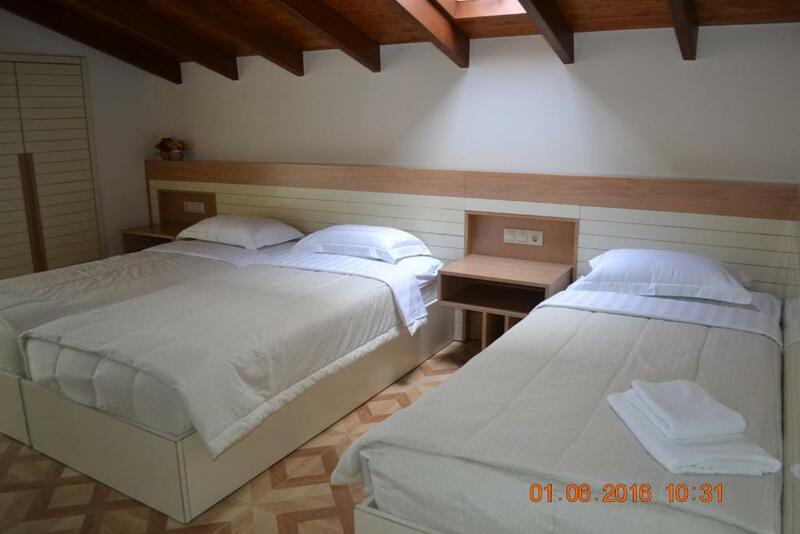 The confort of the bed, the rooms big and elegant, everything was of a good quality, the cleaning was a plus, the position right in the center near the sea and the shops. The property looks new or really recently refurbished, it's very comfortable with nice rooms and new furniture. The rooms (we had two triple rooms) were large and included a fully equipped small kitchenette. There is daily cleaning in the hotel which keeps things spotless. Location is central, on the main street but rooms face a small side street which keeps it quiet. Very easy to get to the beach and to shops/restaurants etc. The staff is easy to reach, they run the small shop at the ground floor and they are extremely friendly and helpful. Excellent location , very clean , nice bathroom , gorgeous terrace . 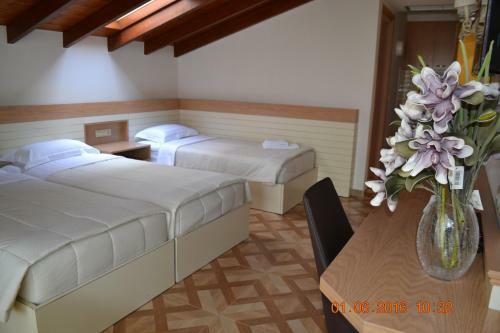 Very nice and clean rooms with a modern touch (they even have a small elevator for upper floors). Very good location. Superb, almost impeccable room! Everything clean, new, functioning! Well-equipped kitchenette (stove, fridge, coffee-maker, tea pot, cupboard, utensils). Cleaning lady came every day and even washed the dishes! Sissy is a great host, she speaks good English, is very helpfull and available in case of questions and problems. The location is perfect - very close to the beach and all the interesting places and useful shops of Paralia. The balcony door has great insulation, and there was no noise from the busy street. We slept very well thanks to that and to the brand-new air conditioning system. There was a small glitch with it, but Sissy solved it in a blink of an eye. You can always be sure that she will make your stay as comfy as possible. 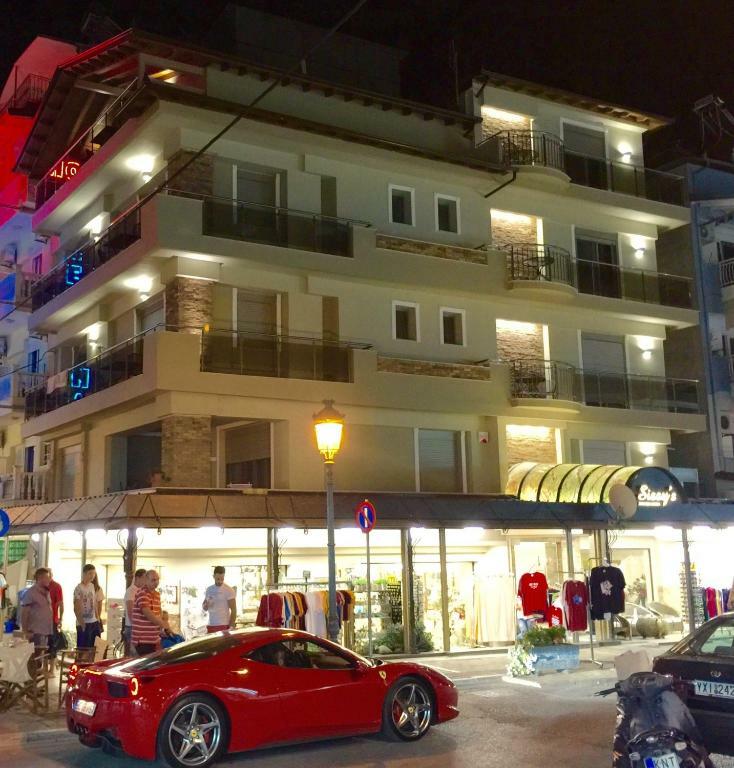 Paralia is a wonderful place to spend the holidays, and Sissy's apartments is a perfect place to stay. Highly recommended. Perfect location, brand new rooms, fully equipped, super nice staff. We will come back. Quiet. Close to the beaches all 3 of the restaurants and shopping all around. Great experience. Perfect place for rest. 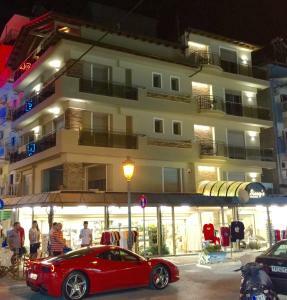 Quite rooms, close to the beach and restaurants. With sure will visit it again. Lock in a great price for Sissy's Boutique Apartments – rated 9.3 by recent guests! 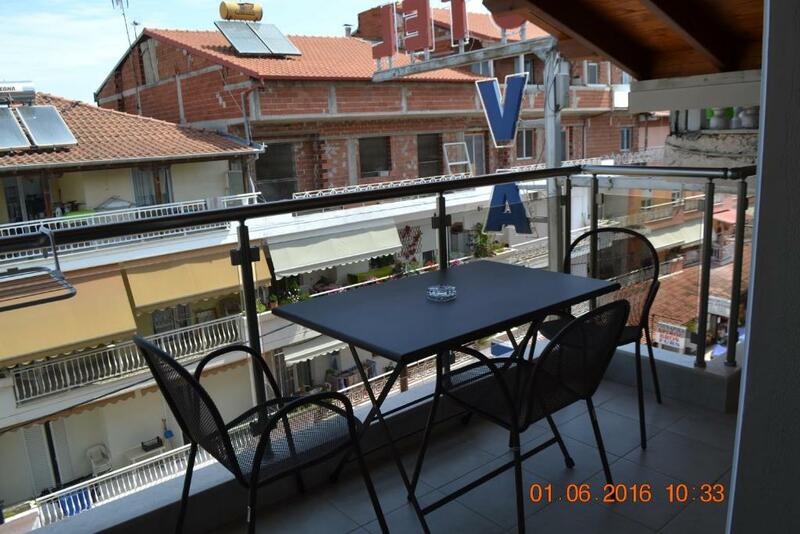 One of our top picks in Paralia Katerinis.Located a 9-minute walk from Agia Fotini Church and providing a terrace, Sissy's Boutique Apartments has accommodations in Paralia Katerinis. Complimentary WiFi is available. All air-conditioned units include a fully equipped kitchen, allowing guests to prepare their own meals. A fridge and stovetop are also featured, as well as a coffee machine. 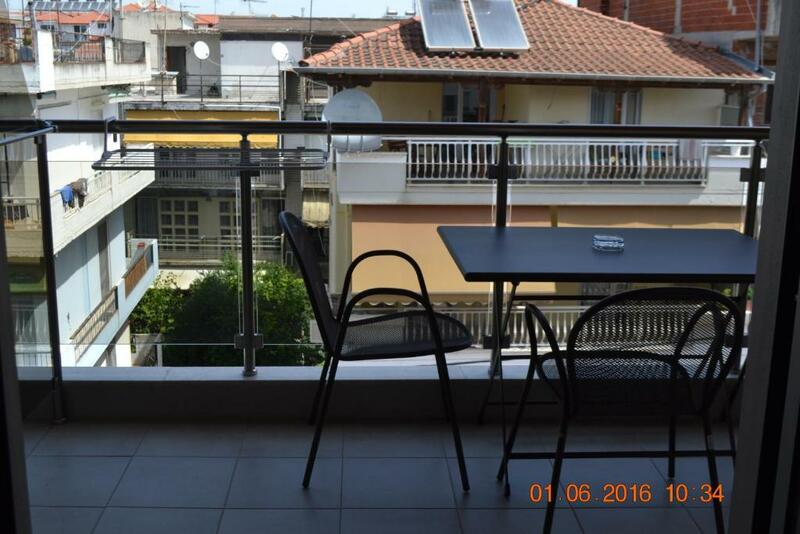 The nearest airport is Thessaloniki Airport, 55 miles from the apartment. When would you like to stay at Sissy's Boutique Apartments? 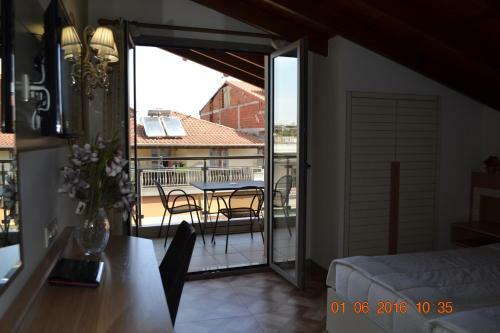 This double room has a kitchenware, balcony and air conditioning. This triple room features air conditioning, kitchenware and balcony. 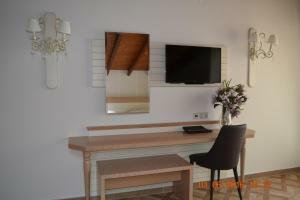 This triple room has a kitchenware, air conditioning and flat-screen TV. 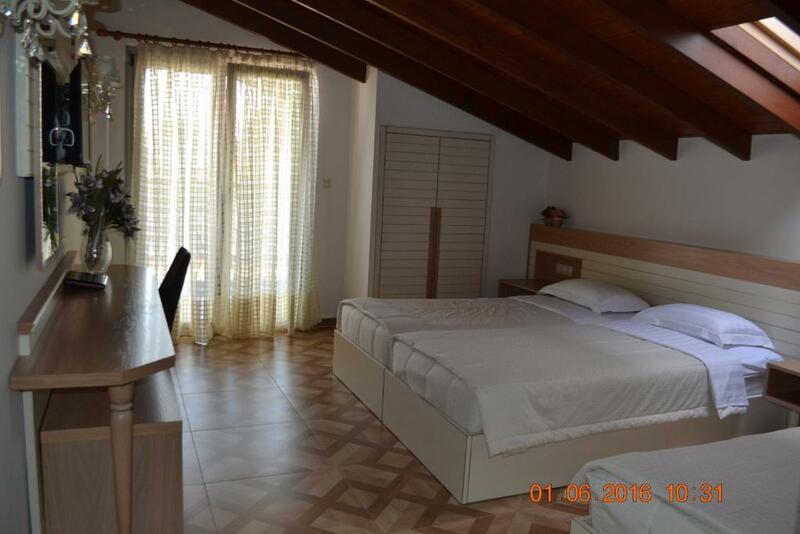 This double room features a kitchenware, air conditioning and balcony. House Rules Sissy's Boutique Apartments takes special requests – add in the next step! Sissy&#39;s Boutique Apartments accepts these cards and reserves the right to temporarily hold an amount prior to arrival. Sissy's Boutique Apartments accepts these cards and reserves the right to temporarily hold an amount prior to arrival. Please inform Sissy's Boutique Apartments of your expected arrival time in advance. You can use the Special Requests box when booking, or contact the property directly using the contact details in your confirmation. Only one elecrticity card per room, so you can not leave the ac running trhoughout the day. Just an idea: to install several washing machines on the property to enable guests wash their clothes for a moderate charge. Everything was at a good level. Everything. I have alredy written a review because we were a group (7 rooms). Everything was ok, is perfect for a paralia vacantion. We were surprized to see how awesome this place looks. Everything is modern and new. The owner was very kind and nice to us. Also, the balcony is perfect for staying in the evening.